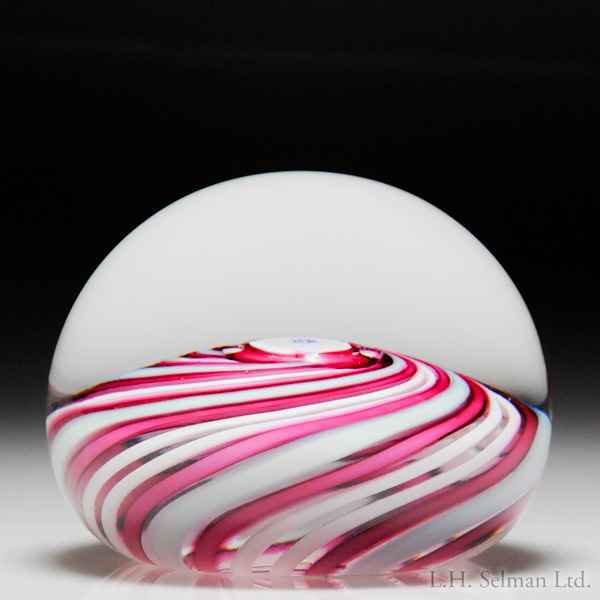 John Deacons 2018 Clichy-type rose swirl paperweight. A central pink and white Clichy-type rose, with a blue and white stardust stamen, rests at the center of white, blue and red stripes that swirl together towards the central rose. Clear ground. Signature/date cane. Diameter 2 5/8".